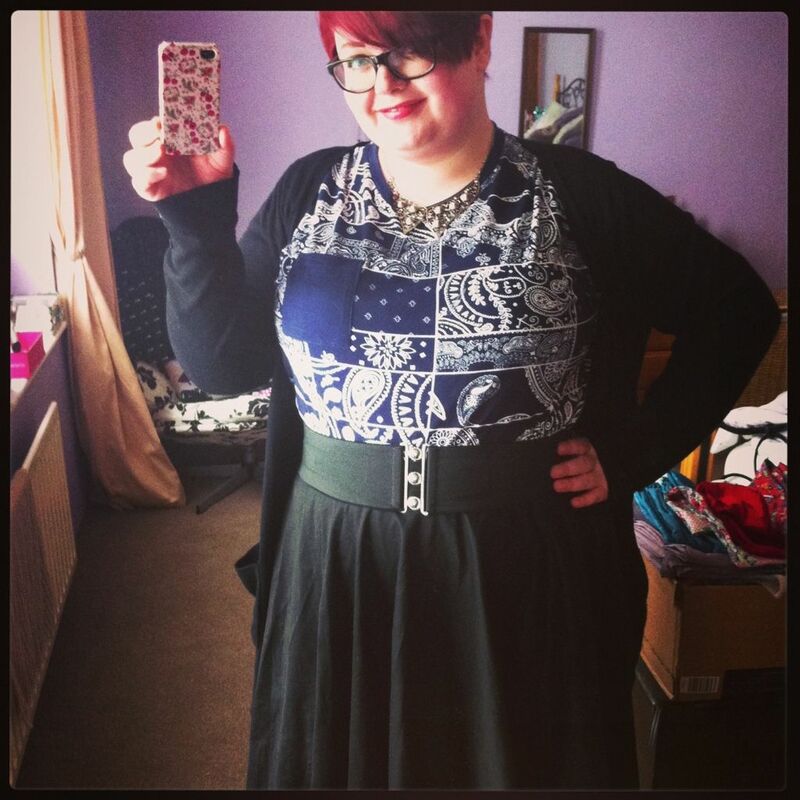 As part of my shopping spree last weekend (more information on how it went, here), we ventured into Primark. Both Rachel and I wanted to have a gander at the homeware section, which meant venturing past the Menswear section. Now, you'd think after my success with this shirt, I'd be a little more inclined to give the menswear section a chance. This trip to Primark will certainly make this a little easier in the future! We were sucked into looking at the tee shirts by their bright colours, bold logos and well, EVERYTHING!! I managed to snap up 2 tees, which came to a grand sum of £10! WOW! It would have been £10 a tee if I'd got them from ASDA. £20 if I'd gone to Evans for them. 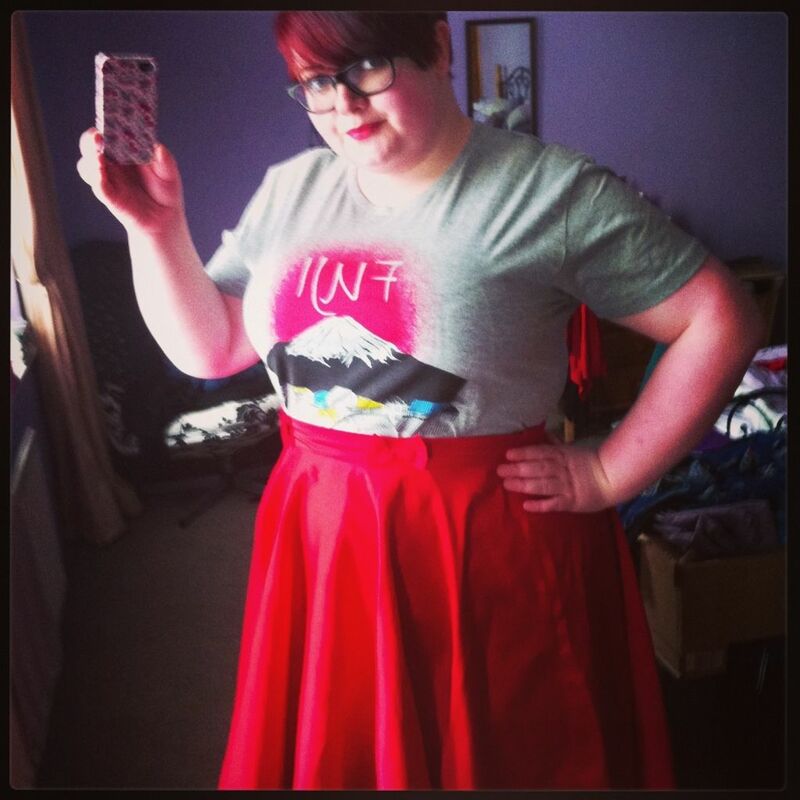 I have to say that this is my favourite, a FUJI tee, which goes perfectly with my bright red Collectif skirt (for info on the black skirt, lookee here). A wonderfully abstract printed tee WITH POCKET! Just ideal to mix up my tee with skirt look a little! It goes without saying that I'll be paying attention a little bit more on the Menswear section in future! What about you? Do you make a habit of checking the "dark side" of the shop for bargains? I have a very cool Dangermouse sweatshirt from the men's section, I am thinking I may cut out the neck to make it more 80's style. LOVE the colour of the skirt! !